This week was less eventful than last. We home schooled, I got the oil changed in my car, went to my rescheduled car appointment, and enjoyed taking pictures at Farmers' Market. I do love to take pictures of fruits and vegetables! And I even managed to read two books instead of one this week. 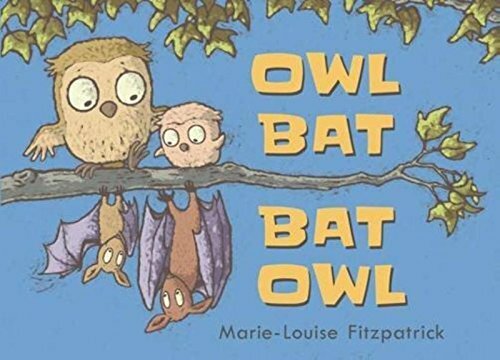 The first book, Owl Bat/ Bat Owl, tells a tale of new friends without words. Now in all honesty, I don't normally like wordless picture books, but this book kept my interest until the very end. An owl family and a bat family share the same sleeping branch where everything but sleep seems to take place. This book offers the readers a wonderful opportunity to talk about the action each illustration offers and would be great for kids ages four to six. 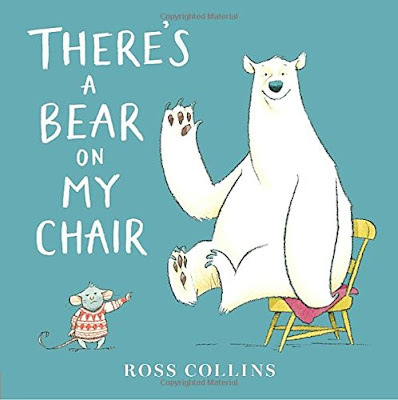 The second book, There's a Bear on My Chair, told a tale with words a plenty. And not just any words, but rhyming words. Extremely well written rhyming words. A mouse shares his feelings of outrage over a bear sitting in his chair. And quite frankly, the bear just does not care that he is sitting in the mouse's chair. A fun and colorful book, children from four to eight will think this story great! This week was a grab bag of good, bad, and exceptional days. Monday through Thursday were your ordinary good days. Emily made it through her home school lessons with little drama or whining. I accomplished my usual household duties like dishes, vacuuming, and grocery shopping with relative ease. And we attended our first Cook Book Club since it broke for summer. And by the way, Emily's Chocolate Chip Cookie Cheesecake Bars were delicious, especially since she used homemade cookie dough instead of pre-packaged. Oh, and I almost forgot. I made some divine applesauce from apples a friend at Cook Book Club gave me! But Friday, Friday was one of THOSE days. You know, the kind where everything that can go wrong will. I started the morning off by assigning Emily her work for the day and then set off to a car appointment I'd set up weeks before only to discover that through a series of mistakes (none of which were mine) my appointment had been canceled. No biggie, I simply rescheduled, but on the way there I noticed my low air pressure tire light had come on. So I drove the thirty minutes back to my home town, scooted myself over to the tire shop, and had them remove the nail I'd run over. Now normally this wouldn't be a big deal either, however, this is the fourth item I've run over in three years, and I just bought these tires this spring. I swear I'm a metal road hazard magnet. And the fun didn't end there. I took myself and my car with the newly patched tire home to finish baking the Scotchies I wanted to take to friends the next day. It was then that the dreaded sound filled my ears__ the sound of water splashing in the kitchen cabinet underneath my sink. Yep, you guessed it. My garbage disposal was leaking water through the motor and all over the inside of my cabinet. Needless to say, bedtime came early that night. But the beauty of having one of those kinds of days is that I've got the power. The power to keep going. The power to think about how many more days were good compared to bad. And the power to look ahead to to a new day and what it might hold. That day was Saturday, and I was headed to the SCBWI Ohio North Conference. Disappointment faded as the conference turned into a most exceptional day! I ran into some friends like authors Michelle Houts and Lisa Amstutz (be sure to check out both of their great websites). I received an amazing critique from the fabulous duo of Gloria Adams and Jean Daigneau who do a two for one deal. How can you beat two perspectives on a manuscript for the price of one! And I learned quite a bit at the sessions I attended. 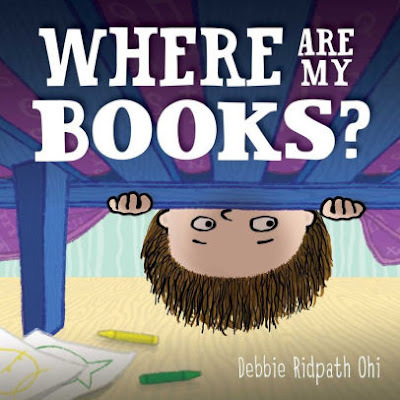 I also managed to spend a little time with Debbie Ohi for the second time this year (squee). Not to mention I bought a copy of Where Are My Books which she autographed with a little image of me. That alone would have made this book special, but the story and illustrations are FANTASTIC! Like me, Spencer loved books. So much so, that he was devastated when his books began to vanish. To avoid any spoilers I'm not going to tell you who took his books or how Spencer resolved the problem. I will simply say, "RUN don't walk to your nearest book store and grab a copy of your own." Another week has come and gone and it's time for round two of my family's recent trip to the Ohio Renaissance Festival. As I mentioned last week, there are many things to do and see at the festival including variety shows. And our favorite show happens to be the one put on by the fabulous Kamikaze FireFlies. The KF's are comprised of the couple duo of Rob Williams and Casey Martin who graciously pose with visitors after each performance. They hold four Guiness World records, have appeared on America's Got Talent, and have a variety of skills. Casey twirls around in the German Wheel never spilling a drop of water out of the drinking glasses. Rob cracks the whip and keeps everyone in line. Rob likes to climb on people and fire always make its way into one or more act. Rob spins a great pirate tale. And Casey does amazing things with hula hoops. So even if the Ohio Renaissance Festival didn't boast great dining opportunities, fantastic musical performances, jousting, costumed persons galore, the Queen and her entourage, amazing craftsmen, fun vendors, pirates and pirates ships, camel rides, bubbles, and more, it would be worth attending just to see Rob and Casey! 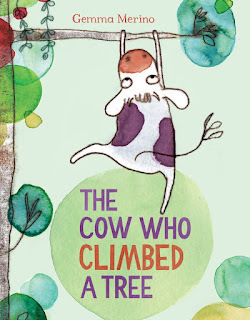 And in case you thought I had forgotten, I did read a great book this week titled, The Cow Who Climbed A Tree. It's the story of a cow who dreamed wondrous dreams and who thought the sky was the limit. Despite her family's declarations that what she dreamed was impossible, ridiculous, and nonsensical, she believed that anything was possible. This book reminded me of Rob and Casey and their dreams of entertaining people everywhere with their amazing talents. As promised last week, this week I'm sharing all about our visit to the Ohio Renaissance Festival in Waynesville, Ohio. If you've never been to the renaissance Festival, all I can say is what are you waiting for? And if you have been, you already know how much fun visiting this recreation of a 1572 English village is. There are fabulous vendors and you can even watch some of them action. Two of my favorites were the glass figurine maker and the glass blower. And then there are the wonderful musicians scattered throughout the complex. I especially enjoyed the hammered dulcimer player. Lots of other people seem to enjoy this festival as much as me and my family if this picture is anything to judge by. And although my twelve year old is too old for games and rides, this place is perfect for kids in the younger crowd. We are talking about bubbles and camels after all! And then of course the Queen might pass with her entourage at any time. But if you don't run into her on the street, you can see her at the jousting tournament. A word to the wise, however, get to the jousting arena early or you won't get a seat. Fortunately, we had witnessed the jousting three years ago when we attended, so I still have great pics to show you what the jousting experience looks like! And then there are the performers. There are jugglers, comedy acts, and variety shows. Our absolute favorite performers are the Kamikaze FireFlies which I will share all about in my next post. So if all these great pictures and descriptions have made you want to jump in the car and go visit this wonderful destination for yourself, I have a discount offer just for you. Get $4 off Adult and $2 off Child tickets by using Promo Code "queen17" when purchasing on the secure website at www.renfestival.com. Tickets valid any day of the 2017 season (Saturdays, Sundays, and Labor Day Sept 2 - Oct 29). Online discount only. Not good with any other offers. And lest I forget, here is a great book you can read before you go! 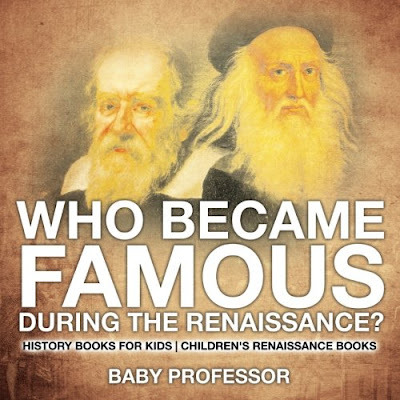 Because, the Renaissance was a time of great art, great music, and so much more. And here's a link to some other great resources http://zing-zoom.com/wpzz/the-renaissance/!